Culminating five years of steady advance, the Founding Church of Scientology had just been established in Washington, DC. 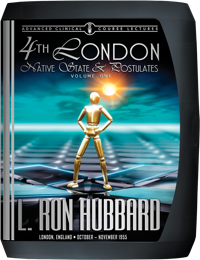 Summoning Scientologists to the first International Congress in the nation’s capital, L. Ron Hubbard opened with the lecture, The Hope of Man. And the title was more than apt. For what he presented were the results of advancing technology—results that could only be accurately described with a single word: miracles. Physical in nature—deaf children suddenly hearing, crippled children shedding crutches, and sight restored with eyeglasses discarded—and yet all of it accomplished by exclusively addressing the thetan. Inherent to success was a breakthrough explaining the factors of self-determinism, and the very means to restore it in an individual. And the implications of that discovery were fully epic in nature. Mr. Hubbard not only traces the history of all past religions, but he also reveals how every one of their hoped for dreams can now be achieved. 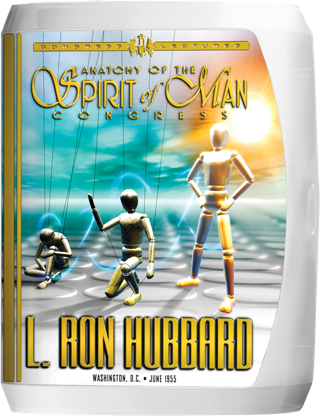 Here, then, is the Congress to be looked back upon as a watershed in history: the advent of Scientology as the world’s first practical religion. A Scientologist can make an individual well, happy and grant him personal immortality, simply by addressing the human spirit. Standing behind those words, written in the spring of 1955, was a breakthrough that will forever be known as a watershed for humanity. “We recognized that Man was basically a machine only so far as his body went, that Man otherwise was a spiritual entity which had no finite survival. It had, this entity, an infinite survival. Yet the cause for celebration was news of far greater significance. For with the advent of Scientology, the subject had also firmly entered the realm of religion. In that regard, what advances in technology were accomplishing as of summer 1955 were no less than the dream of every religion through the ages. And that was no overstatement. Because, in evidence were the latest results Mr. Hubbard was achieving—results that could only be accurately described with a single word: miracles. 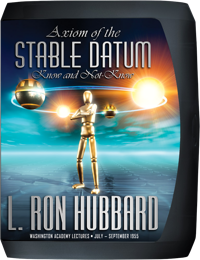 In testament were several hundred case histories in the files of the Hubbard Association of Scientologists in Phoenix: deaf children suddenly hearing, crippled children shedding crutches, the blind regaining sight and a barrel full of discarded eyeglasses. But most amazing of all was the fact all such “miracle results” in no way depended on or included any form of physical therapy. Indeed, by exclusively addressing the thetan one could now solve the full gamut of humanity’s ills, aberrations and disabilities. Moreover, through these fifteen lectures and Group Processing sessions, he unveiled the discovery that had not only made this accomplishment possible, but how it could be applied by every Scientologist. 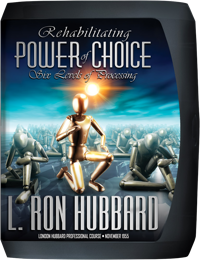 Here, then, are L. Ron Hubbard’s lectures that defined what it means to liberate the human spirit which, in turn, set the course for all future investigation in developing the technology that built the Bridge to Freedom we have today. We are proud to present the Anatomy of the Spirit of Man Congress.